People all over the world use social media networks to stay in contact with friends and relatives, share photos, and play games. However, social media can also be an excellent marketing tool for businesses. By building an online presence for your business, you can develop relationships with potential consumers and distribute your brand's message to a larger audience. Small businesses gain instant, cost-effective exposure. Large businesses can connect with previous customers and potential consumers alike. Consumers have another way to ask questions or provide feedback about your business. Consumers can "like" or "follow" your business, which allows you to update them periodically about sales, promotions, and new products. When consumers connect with your business, they are essentially endorsing your company. Their friends see the endorsement and are more likely to purchase products or services from you in the future. Your business can use social media advertisements, such as Facebook's Sponsored Stories, to draw more consumers to your profile. You can also use the platform to strengthen your business's brand and distribute brand images. Start small. When you begin your social media marketing campaign, create one profile and update it frequently. Don't move on to your second profile until you are comfortable with the first. Branch out when you are comfortable. Though you should start with one profile, you should also make an effort to move on to others when you are able. Maintaining profiles on multiple social media platforms allows your business to reach the highest possible number of consumers. Link to your website. Pass your social media traffic onto your website by placing links to the site in several locations on each of your profiles. Create valuable content. When you tweet, post on Facebook, or send messages to your connections, make sure that you provide something of value in each communication. Consumers don't respond well to overt advertising, but they will feel connected to your business if you consistently provide them with useful information and insight. Update frequently. Consumers expect to see regular updates on your profiles. If you do not update, your connections may assume that your profile is no longer active. In addition, regular updates "remind" consumers about your brand. Interact. Two-way communication is a key component of social media marketing. When your consumers comment on your posts or leave feedback, respond to them. Hire a professional. Consider hiring a social media professional to maintain your profiles. 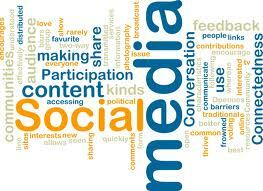 Many social media experts have degrees in business communications, so they know how to reach your target demographic. These professionals also possess effective writing skills and marketing knowledge geared specifically toward social media content creation. The social media scene is still new to many businesses. Tapping into this resource early will give you an advantage over the competition. By creating detailed social media profiles, updating frequently, and interacting with your connections, you can build rapport with consumers and encourage brand loyalty. Do you like this article by Lindsey Harper Mac? Please let Lindsey and myself know by leaving us your valued comments below. When a company decides to have a logo created, the up-front goal is obvious. The company hopes that the logo will generate business. Logos do more than attract customers. A good logo tells a story about the company and establishes it as a reliable authority in its field. This is all accomplished with symbols and the company name. A great logo should never be too trendy or try too hard to be artistic. A Digital Dreamer says that if your logo is too trendy, it can actually "lead to lower sales." But being too artsy is not the same as being smart with design, colors and symbols. A Digital Dreamer further states that a successful logo must be both "functional and practical." The right logo is easily associated with the company, gives some type of company background and is memorable. A pretty logo is worthless if it says nothing about the company. According to William Haig, the CEO of Powerlogos Design, "The logo symbol and name must work together." Business printing is only effective if what you are printing represents your company accurately. When you see a great logo, it makes you think favorably about the company it represents. That's because the company took the time and had the foresight to invest in a great logo. When you see a poor logo, it leaves you flat. Not only are you unlikely to remember the company, you're unlikely to bother to figure out what the company does. Sebastian Guerrini, of Buenos Aires based Guerrini Design Island, says it's important when designing a logo to consider three things: "the clients, the target audience and the culture." A symbol might have one meaning in the United States but a completely different meaning in China. If the company is planning to conduct business worldwide, this aspect of logo design cannot be overlooked. When a company is involved in a high-tech field, it would be inappropriate to use a logo that looks antique. If the company specializes in finding antiques for its customers, then an antique appearance is beneficial to the logo. In that case, the company's name is forever intertwined with the concept of antiquity. That makes it easy for potential customers to recognize the logo, to remember the company's name and to associate the company with its business. Renowned designer Saul Bass said that matching the symbols and typeface used in the logo to the company's business gives the company credibility to the viewer. William Haig said, "What to put in the logo is 90 percent of the logo design process." A great logo doesn't happen by accident. It is the result of good, old-fashioned planning. The use of symbols is important, but using too many symbols can make the logo confusing to the reader. A logo should look good on a business card, an invoice, the product and anything in between. If it doesn't fit on any type of business advertising or correspondence, it isn't a good logo. A logo can attract or repel potential business. It can establish a company as an authority in the business, or it can make the business look like a novice. It all depends on the symbols used and how they represent the company. Twentieth-century critic and theorist Kenneth Burke said humans are "symbol-using, symbol-making and symbol-misusing animals." When designing a logo, the most important factor is to use symbols accurately for the best impression. Logos can make or break a company. It's the first thing a potential customer uses to decide whether or not to conduct business with a company. A bad logo will send clients elsewhere. A company's logo is the first chance to make a good impression. Sometimes it's also the last chance. Here's an example of a great logo. About The Author: Jessica is a specialist in business printing and marketing. When she is not writing for Print360.com, you can find her cooking up a storm in her kitchen. Do you like this article by Jessica Wiener? Please let Jessica and myself know by leaving us your valued comments. If you have an online business, you know the importance of a good search engine ranking. Whenever someone types in a keyword such as hardwood flooring or engineered flooring into a search engine like Google, if you are a flooring business you want to be on the first page of search results. Very few customers check the second or third pages of search results, so if you're serious about your business you need to know how to rank highly. But how do you do it? The answer lies with search engine optimisation, or SEO as it's more commonly known. Believe it or not, you don't have to be an SEO expert to get your business on the first page of search results - it's actually pretty simple. With that in mind, here are five simple SEO tips you can do to improve your search engine rankings and benefit from more traffic to your site and higher sales. Most hosted websites already do this, but if your website is custom-built, think about the folder structure, site map and html readability. You won't get brownie points for a nice-looking site, as search engines like sites they can crawl easily. Stop what you're doing and write down the top five keywords you want your website to be found for. Now ask your friends and family and write them down. Take this list and run some searches - where is your site ranked? Stop if you can't find your site after three pages - if you can't find it by then, don't expect anyone else to. Ensure your homepage contains 2 or 3 of your top keywords. Weave these keywords into your content across your site. When doing this, bear in mind that you need to get the keyword density on your page right. Make sure it reads and flows naturally and doesn't come across as spam. Use your keywords in the heading of your page - even better if you can get the keywords in the URL for that page too. Make sure you link to other relevant pages, within or outside your site, as part of your text too. Blogging is a fantastic way to keep your customers informed of your products and services, but it plays a very important role in SEO too. Not only does it tell search engines that your site is kept up-to-date with regular, fresh content, it will increase the chances of other blogs linking to you - and this tells search engines that your site is well worth looking at. If you are continually creating news and interesting content you will be bumped up the search engine rankings and search "spiders" will crawl your site more often. 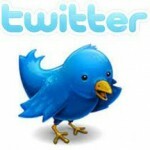 Social media like Facebook and Twitter is playing a more important role in SEO too - especially Google+. The amount of shares, retweets, comments and likes tells search engines that what you are saying is important. It will drive more traffic to your site and increase the chances that what you are saying is indexed - especially if you can use the keywords highlighted above. The world of SEO is constantly changing, and for some people SEO is a full-time career. Google for example continues to change and evolve in the way it crawls websites, the way it ranks some sites above others and the way it looks at social media. Staying on top of its constant changes to its search algorithm can be a full-time job, but don't worry because there are some great sites out there which you can sign up to to receive updates on all the latest changes. So there you have it - you really don't have to be an SEO whizz to boost your website up the search engine rankings. Just take some time to follow the tips above and your business will soon benefit from higher placing, higher traffic and higher sales! Did you find this article helpful? 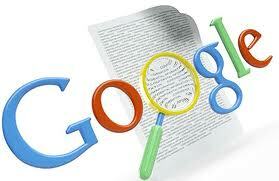 Do you have any SEO tips to share to help improve search engine rankings? Please let me know/share them by using the comments section below. Paid, Owned And Earned Media: What Are They And How Do They Interact? In the last few years a division has occurred in the marketing/media world between the different types of media out there. The division was initially made by execs inclined towards making new marketing models, but has now been picked up by the marketing mainstream, hence why I'm blogging about it. 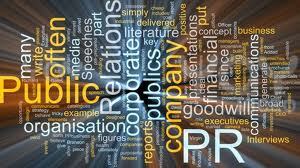 Paid media - This is the traditional paid advertising of TV, billboard, radio and online display. This media has been criticised for being simply "interruption marketing", whereby the user experience is hijacked by an advert for something the user doesn't want or need. Paid media has also been criticised for being too "one-way", and for not encouraging a conversation (however this may not be true - see below). Owned media - This is the "owned" property that the brand completely owns and has total influence over. 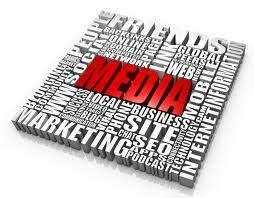 A brand's portfolio of Owned media can include a website, a YouTube channel or a Facebook page. What makes Owned media distinctive is that the brand has complete control over it. But, as we shall see, just because there is total control doesn't mean that it isn't influenced by other media. Earned media - This is the channels where you have little or no control over, such as blogs, SEO, forums, social media, and, most crucially, word-of-mouth. Earned media is where the conversation about your brand takes place; in a low trust world, it's where the real brand equity and value can be acquired. Earned media has been suggested as an alternative name for "SEO", since many SEOs are now concerned with all the channels of unearned media not just SEO. Despite this suggestion, inbound marketing is considered a more accurate description for the expanding SEO role. So these are the 3 media types to be used, or attempted to be used, by the 21st Century marketer. So what is the key to understanding them? IMHO it is that despite the differences between them, they are all linked. So, for example, if someone mentions Facebook in a meeting, do they mean community (Earned media), FB ads (Paid media), or FB pages (Owned media)? Or all three? Or how about advertising (Paid Media)? Traditionally advertising was intended to drive visitors to the product/store/website (Owned media). Now, a clever, shocking or downright entertaining advert (Paid media) can stimulate conversation about a brand in many different channels (earned media). An example of this is BMW cars with their April Fools ad campaigns. If you look at Google Insights online, you will see a spike of searches for BMW at the start of every April. Why is that? It's because BMW have become known for their funny April's Fools jokes, such as the M3 Royal Wedding Edition last year, which came in Royal Blue... The conversation about this year's BMW April Fools ad was played out in the Twittersphere. This is an example of Earned media, that is: buzz and conversation, being converted directly into search engine traffic for the BMW site. Did they get any sales out of it? Probably not immediately, but in terms of branding, the exercise was very valuable. So there is a feedback loop going between all three types of media - Paid, Owned and Earned. Positive Earned media coverage is the gold that all marketers are currently searching for, but have we have seen, all three types can interact and interdevelop in ways that are still emerging. About The Author: Steppes Discovery are one of the leading wildlife holiday companies in the UK. They run conservation travel trips all over the world.